An Italian Navy “Jump Jet” landed aboard the Wasp-class amphibious assault ship USS Iwo Jima (LHD 7) in the Med Sea. The Italian Navy Harrier will remain with the Iwo Jima Amphibious Ready Group until it arrives in the U.S., then, the “Jump Jet” will head to MCAS (Marine Corps Air Station) Cherry Point, NC, for a scheduled PMI (Preventative Maintenance Inspection) that will take up to six months. This is not the first time the Italian Harriers operate from a U.S. unit: since many deployments pass through the Med Sea, the Italian Navy pilots have the opportunity to operate from the flight deck of Wasp-class amphibious assault ships every now and then. “We have done this several times in the last few years,” said Italian Lt. Cosimo Manica, also a Harrier pilot. “We have taken approximately 10 planes from Italy to the United States for PMI, which can only be done in America.” Indeed, the deployment of Italian AV-8Bs has already happened with USS Bataan in 2017 and 2014 and USS Kearsarge in 2015. Operating from a U.S. ship is not too different from operating aboard an Italian aircraft carrier, such as the ITS Cavour or Garibaldi. Whilst landing procedures are almost identical, what is probably different is the amount of traffic the units manage both in the air and on the apron, making the opportunity to operate on a U.S. amphibious assault ship relatively “low-stress” but also formative. The Italian Navy operates little more than a dozen Harriers that are planned to be replaced by the F-35B (probably 15, according to most sources). Italy’s first-built F-35B, aircraft BL-1, was delivered to the Italian Ministry of Defense and assigned to the Italian Navy at the Cameri, Italy, Final Assembly & Check-Out (FACO) facility, on Jan. 25, 2018. It completed its transatlantic crossing landing at Naval Air Station Patuxent River in Maryland on Jan. 31. 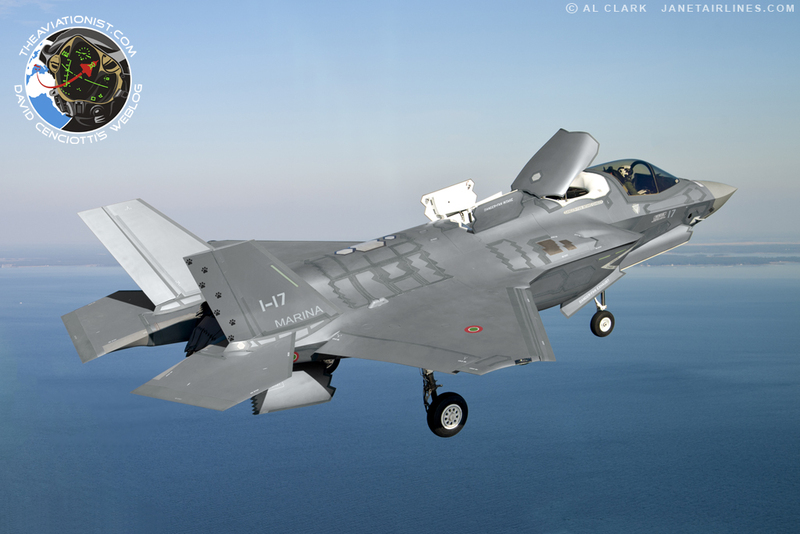 At Pax River, the aircraft, serialled MM7451/4-01 will obtain the Electromagnetic Environmental Effects certification, before moving to MCAS Beaufort, South Carolina home of U.S. Marine Corps F-35B pilot training. Old Harriers and new choppers unleashed. Welcome aboard the Cavour aircraft carrier during "blue water ops".